Oh Monique what a divine collection you have dreamed up! 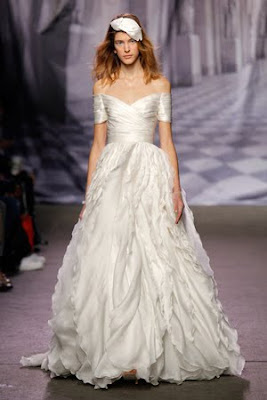 Aptly titled "Fairytale Winter Weddings" any bride will fall in love with dresses fit for a princess. Images via Martha Stewart Magazine.